A couple years ago I ordered the parts to make an OVM for my friends aircraft. 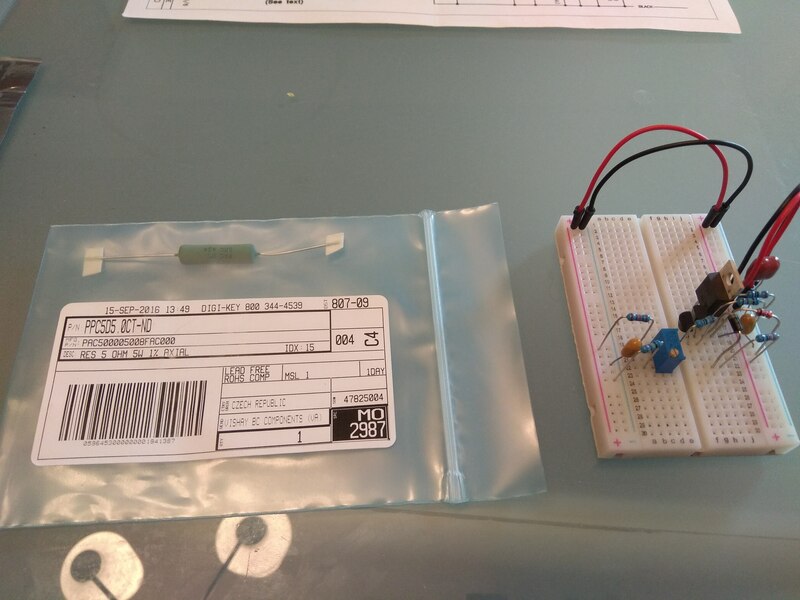 We finally got around to breadboarding it this week and we have a part left over: A 5 ohm 5 watt resistor, see picture below. Anyone want to guess what use this would be in an aircraft? Maybe I ordered it for a panel dimmer circuit or something? Also, my 0.1uF/250V capacitor https://www.digikey.ca/products/en?keywords=p10967 does not have polarity markings that I can find. The diagram shows a polarized cap. Is this just in case? If I can't find markings on my cap am I safe disregarding polarity? Your capacitor is non-polarized; its orientation doesn't matter.